Enhance the look of your home with this dark taupe reclaimed wood-look sofa console with thick tempered glass sides. A gorgeous wood look finish with a touch of class. A gorgeous wood look finish with a touch of class. Tempered Glass Console Table with Dark Taupe Top Enhance the look of your home with this dark taupe reclaimed wood-look sofa console with thick tempered glass sides. A gorgeous wood look finish with a touch of class. 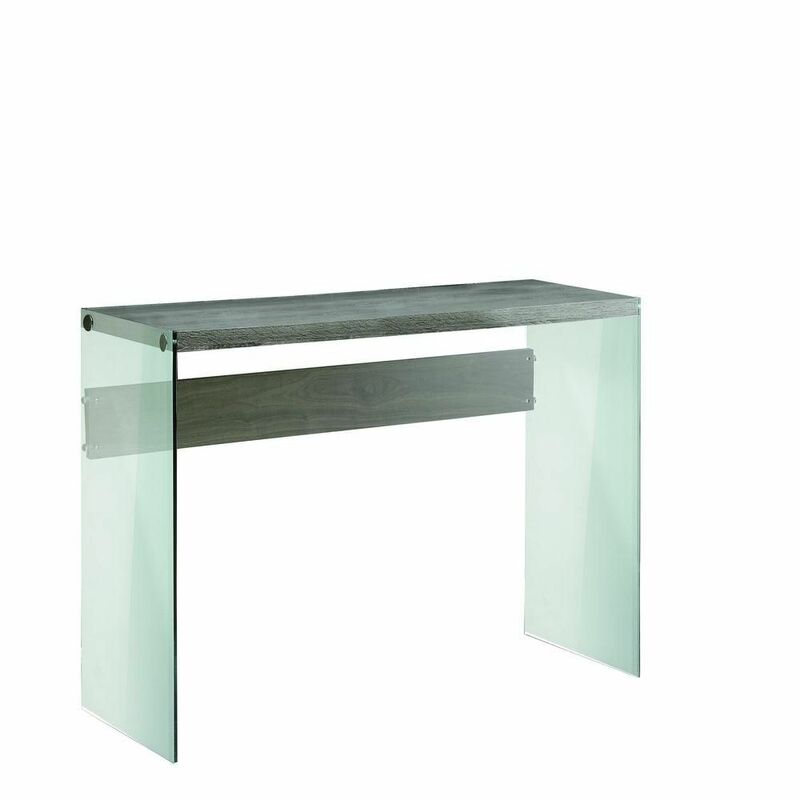 Tempered Glass Console Table with Dark Taupe Top is rated 5.0 out of 5 by 3. Rated 5 out of 5 by LaKeyshia from This piece gives me the clean and simple look I... This piece gives me the clean and simple look I was going for. Rated 5 out of 5 by LMG from Easy to assemble and just what I needed for a side table in my office. Easy to assemble and just what I needed for a side table in my office.